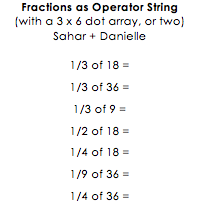 Here’s a collection of strings written by teacher participants at the Summer Institute at Math in the City (City College, NY). 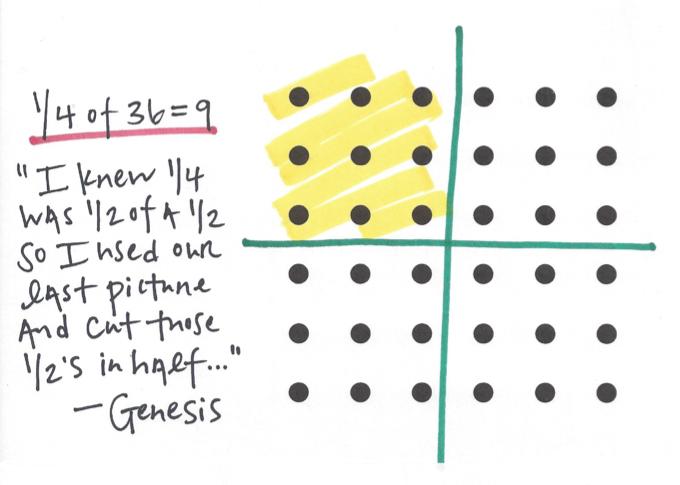 When students share their strategies, you might ask, “How do you know? How are you seeing it on the array?” Then circle or shade what they saw. Remember to open it up to other ways of seeing, “Did anyone think of it differently? Oh great. 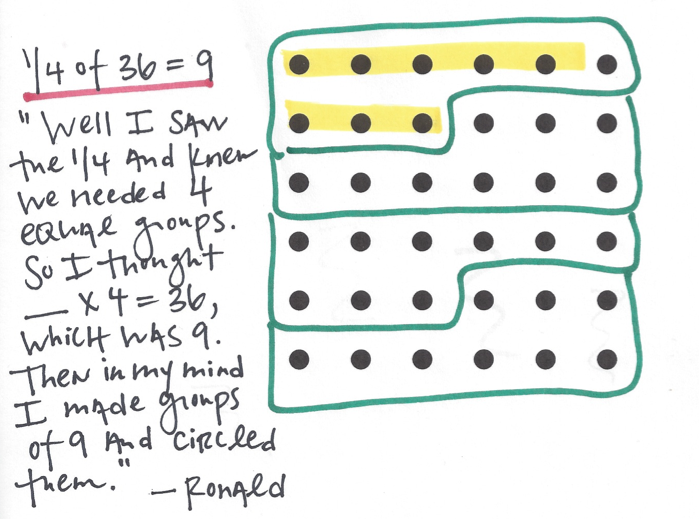 Ronald, what did you see?” Then the second student’s strategy or envisioning is shown on a different array. I like to print several copies of the array and have them ready to go up. Otherwise, it takes too long to draw the dots each time. 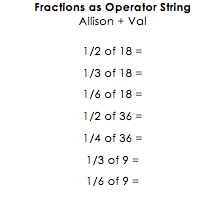 Of course, all of these strings can be modeled on a number line, too. Think about where your students are and which model would be appropriate. 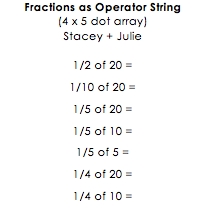 The dot array allows for counting, splitting and making of groups. 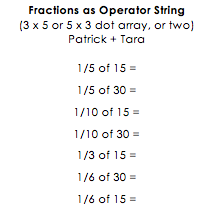 When you are first grappling with the meaning of fractions, those dots can be really helpful as a sense-making tool. 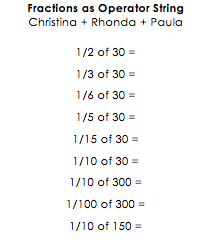 But we don’t want kids counting forever. 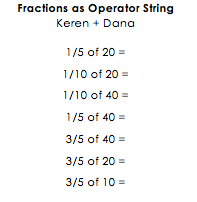 So the number line forces students to think of number as magnitude or space, not quantity. Now 36 is a length or a distance in space, not 36 little dots that are arranged and provided for you.